In this nonfiction collection of journal entries, Bythell introduces us to his life as the owner of Scotland's largest second-hand bookshop. The writing is witty and filled with wry humor as we make the rare book find, deal with eccentric employees, and hear each baffling comment that every customer is bound to have! This is not so much a commentary as a series of observations that will delight and amuse the reader to no end through their sheer astuteness! 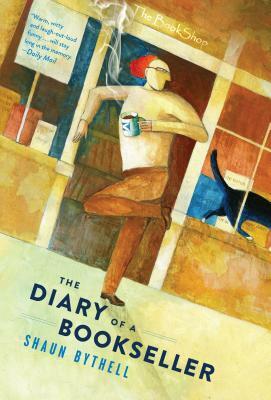 The Diary of a Bookseller is Shaun Bythell's funny and fascinating memoir of a year in the life at the helm of The Bookshop, in the small village of Wigtown, Scotland—and of the delightfully odd locals, unusual staff, eccentric customers, and surreal buying trips that make up his life there as he struggles to build his business . . . and be polite . . . When Bythell first thought of taking over the store, it seemed like a great idea: The Bookshop is Scotland's largest second-hand store, with over one hundred thousand books in a glorious old house with twisting corridors and roaring fireplaces, set in a tiny, beautiful town by the sea. It seemed like a book-lover's paradise . . .
Shaun Bythell is the owner of The Bookshop in Wigtown, Scotland. The Diary of a Bookseller is his first book.